Phee's Original Goods is owned and operated by myself, Kyle McPhee with the gracious help of many friends and family. Working with durable materials such as leather and canvas forces us to create pieces as resilient as the material itself. Knowing the lifespan of these materials drives our curiosity to learn and develop new techniques for achieving a long lasting and beautiful product. 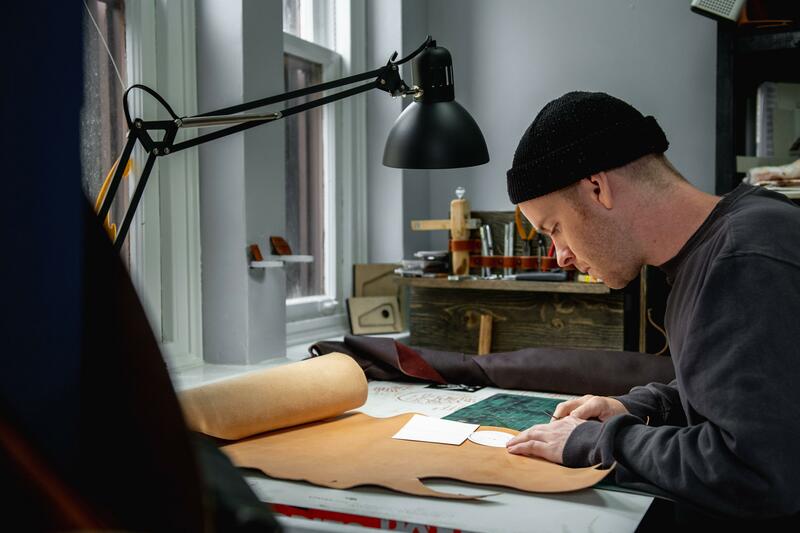 Often encouraging customers not to handle their new products with care, we enjoy seeing how the years wear on the leather or canvas and learning from the story each piece tells over time.